When I was a child, I read The Story of My Life by Helen Keller. I read this book over a few days and it stuck in my mind. It is an incredible story of a courageous individual who overcame tremendous odds with the help of a tremendous teacher, tutor, mentor and coach all at the same time. 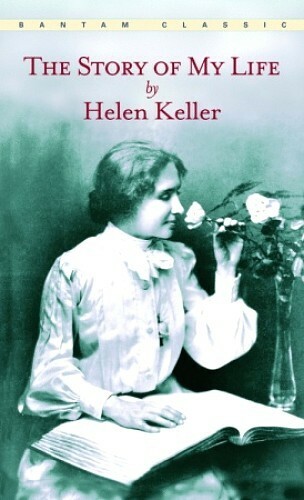 Rendered deaf and blind at 19 months by scarlet fever, Helen Keller was prone to fits of violence, and seething with rage at her inability to express herself. But at the age of 7 this wild child was transformed when Anne Sullivan became her teacher. I can still remember the part in her story when she describes the day “Teacher” led her to a stream and repeatedly spelled out the letters w-a-t-e-r on one of her hands while pouring water over the other. She could finally communicate! Today thanks to Open Culture, I stumbled upon this vintage footage from the 1930s where you can see Helen Keller along with Anne Sullivan in the flesh and discover how she learned to talk. It’s amazing to watch, particularly through the stirring finish.You can see the bond between the “student” and the “teacher” and it is a great lesson of perseverance: never give up!